Restored pointing by Maud Earl on display at the Museum of the Dog. 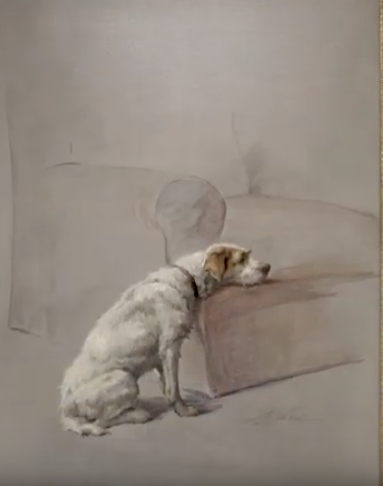 I’ve had a long association with the American Kennel Club, so when the organization opened the Museum of the Dog in Manhattan in January 2019, I was happy to see so many of the paintings I had restored for AKC were among the more than 180 artworks displayed. In fact, I got my own dog, a Bassett Hound named Gamble, through my work with the AKC. Here’s an AKC-Gamble-Story about my meeting Gamble. And they AKC-Followup-Story.